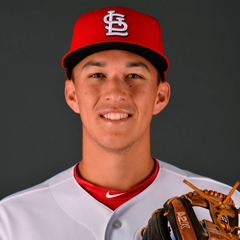 In Monday’s St. Louis Cardinals Arizona Fall League action, Conner Greene took the hard-luck loss for Surprise in the 10th inning. Tommy Edman doubled and walked. Results from the game played Monday, November 5th. The Saguaros could not hold an early lead at Salt River (14-8), eventually falling 4-3 in 10. Surprise (8-14) has gone 3-7 over their last 10 games and now dwells in the basement of the West Division, seven games behind Peoria. St. Louis’ Conner Greene absorbed his second loss in as many decisions, yielding an unearned tally in his only inning on the bump, the 10th. The righty began with a runner at second due to the Robinson Rule and proceeded to retire his first two batters on a 4-3 groundout that advanced the runner to third and a pop out to fellow Cardinals farmhand Andy Young at second. But a ground ball single to second resulted in a run scored and the hard-luck loss. 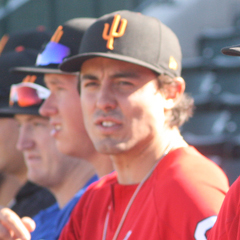 Young was joined in the Saguaros’ starting lineup by three other St. Louis prospects: Lane Thomas, Tommy Edman and Jeremy Martinez. The second baseman went hitless in four at-bats with a strikeout but did score after reaching base in the first via a hit-by-pitch. That put two on for Bryan Reynolds (PIT) who drove in them both via his first triple. A sac fly brought Reynolds home and gave Surprise a 3-0 lead they maintained until the fourth. Center fielder Thomas garnered one of his team’s six hits overall, a two-out single in the first. The number six batter swiped his seventh base of the AFL campaign before advancing to third on a throwing error by the Rafters’ catcher. The Saguaros mounted another threat when Martinez worked a free pass, putting two on for designated hitter Nick Heath (KC), but a fly out to left ended the frame. Martinez’ base-on-balls was the first of his two times reaching base despite going hitless in three at bats. The catcher was the runner put at second to begin the top of the 10th but was replaced with a pinch runner. Surprise’s ninth-place batter was Edman, who doubled once in three at bats with a walk. His free pass came in the 10th, resulting in a bases-loaded opportunity with none out. But the visitors squandered it on a fly out to left, force out at home and fly out to center, the last out made by Young.